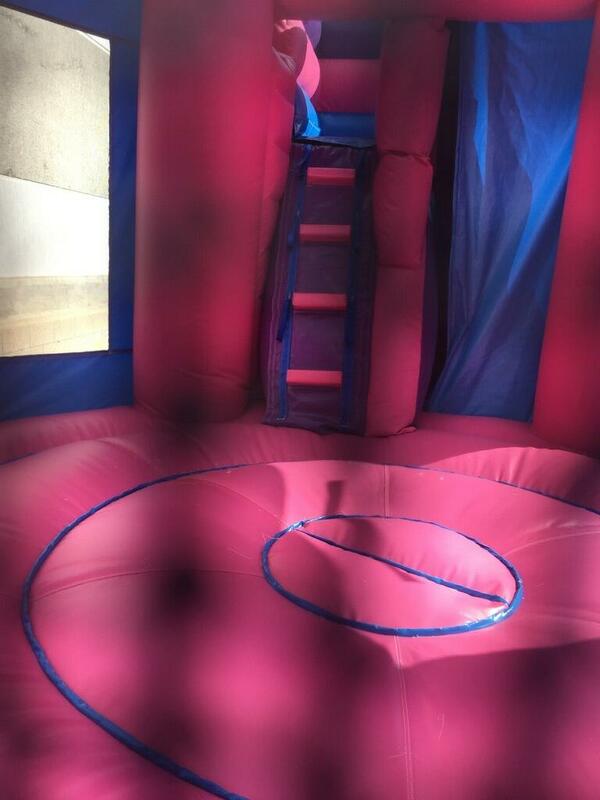 This is a very unique bounce house with slide combo which has a hexagon shaped bouncer area, climb area to top of slide and a single lane slide with stopper at the end for safety. 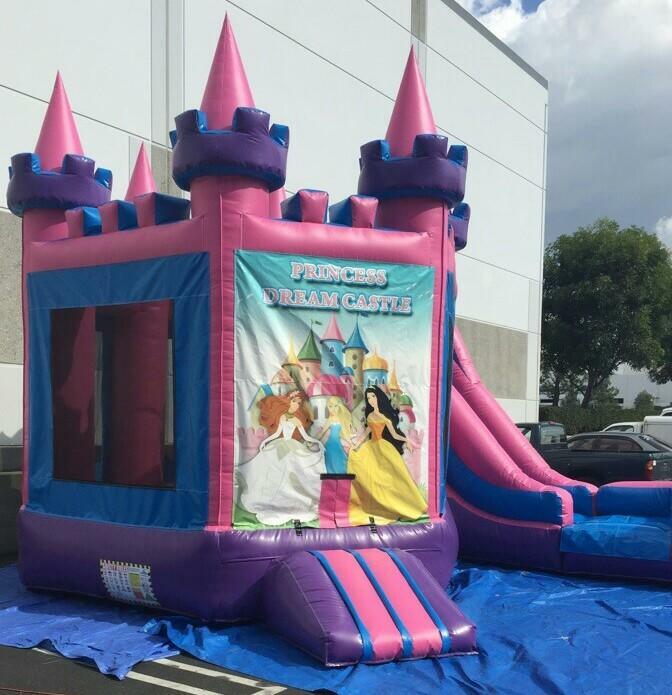 Pink and purple colors make this inflatable really pop and will make a great addition to your birthday party or events. We pride ourselves on our rental equipments cleanliness, awesome customer service and always on time deliveries. 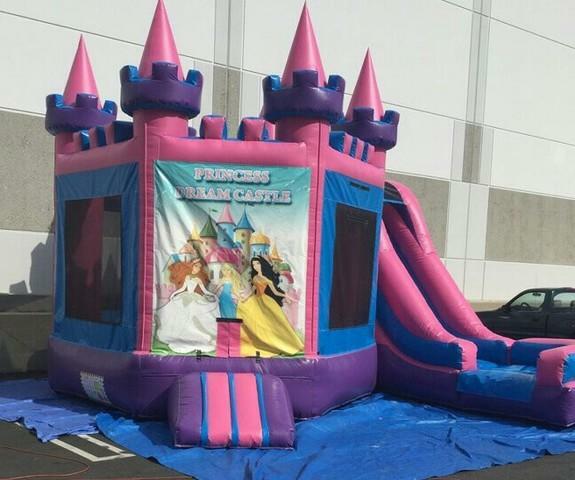 Our goal is to make your party easy and affordable while making your special someones day the best ever. Give us a call and you will see why ALL of our repeat customers are now friends of our business. No surprises an hour before your party and no price changes at delivery.